10GbE SFP+ to SFP+ DAC Direct Attach Copper Twinax Cable, Passive, 3-meter, AWG30. 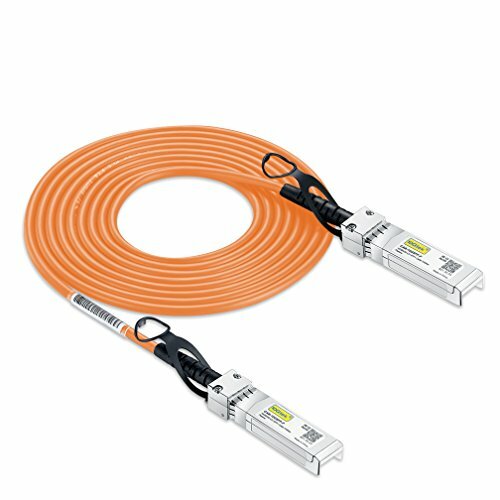 SFP+ Cable can connect switch, router, server, NIC or other fiber optic equipments with SFP+ ports for Network Attached Storage, Storage Area Network and High Performance Computing. Compatible with Cisco, Ubiquiti, D-link, Supermicro, Netgear, Mikrotik, ZTE, Quanta, Solarflare, PaloAlto, F5, etc devices.